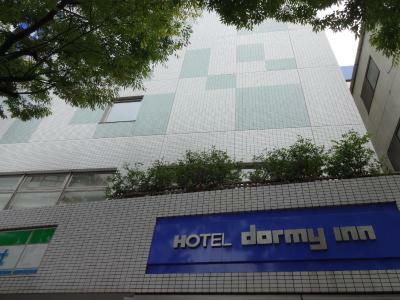 Lock in a great price for Dormy Inn Hakata Gion – rated 8.2 by recent guests! The hotel location is very convenient. 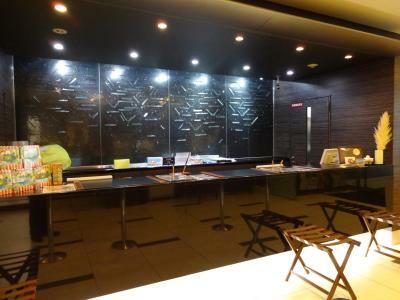 Quite close to metro station and also walking distance to Yatai 屋台 for exploring Japanese traditional night market life. 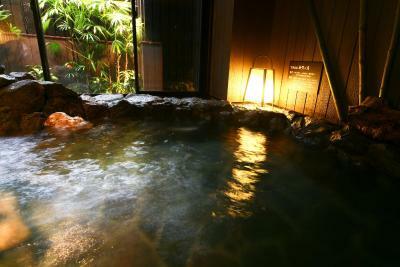 Surprisingly, they can provide Onsen service in Hakata district! 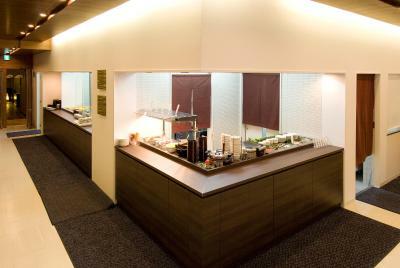 The hotel is also very considerate to provide Ramen till 11pm without additional charge. 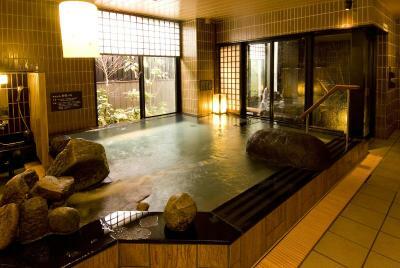 I remember we had stayed with this hotel franchise in Kaneza 金澤 2 years ago. Same impression of comfortability they provide always. 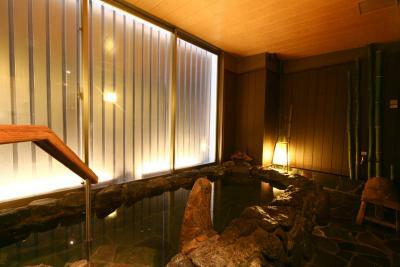 The spa on 2nd floor and the service attitude of staff, so impressed! 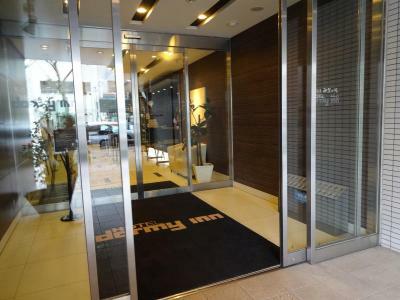 Very close to the train and offers free shuttle bus to Hakata Station. 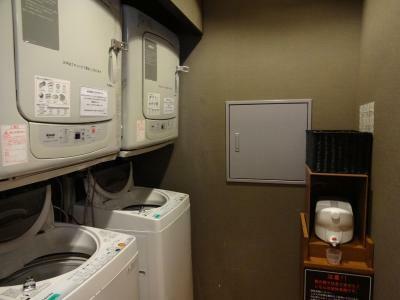 Liked the onsen, availability of washing machines & dryers. Location was good. Accessible by subway. Convenience store is just located downstairs. 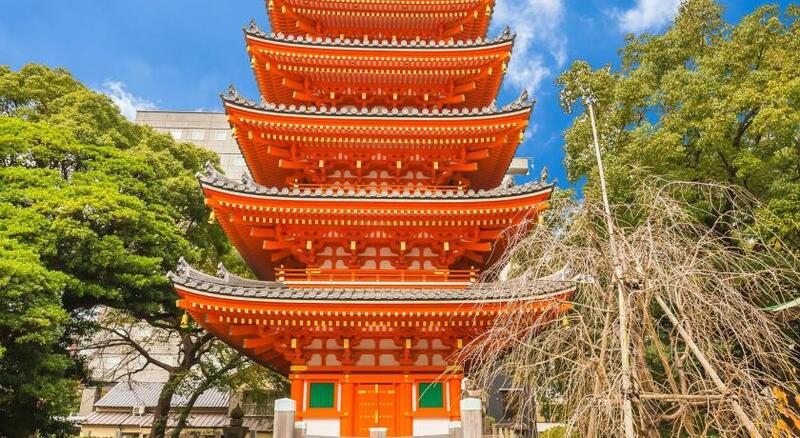 Centralised location means that traveling to areas like Hakata and Tenjin is fast, easy and convenient. Picked Run of house, reception assigned me with a non smoking room on club floor which allowed us to access the massage chairs and drink lounge. Made me (a pregnant woman) feel very good! Room was spotless clean! complimentary noodles.3 mins walk to the nearest subway stop which connects to the airport. Staff at the counter was very nice. 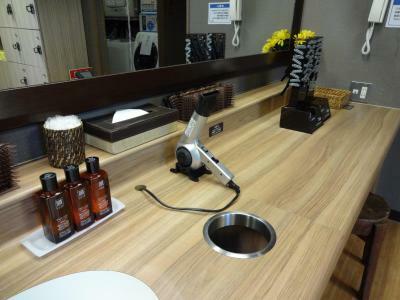 Location and cleanliness. They have a one way shuttle from hotel to Hakata station. 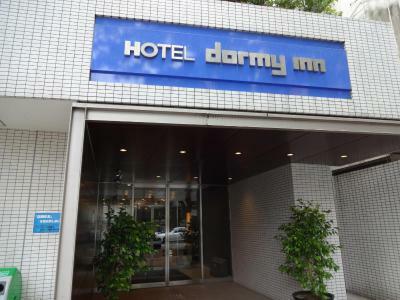 Dormy Inn Hakata Gion This rating is a reflection of how the property compares to the industry standard when it comes to price, facilities and services available. It's based on a self-evaluation by the property. Use this rating to help choose your stay! 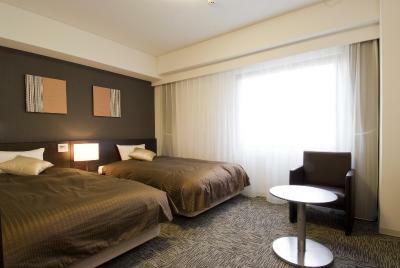 The air-conditioned rooms at Hakata Gion Dormy Inn are furnished with an LCD TV with satellite channels, a refrigerator and tea making facilities. Nightwear and slippers are provided. 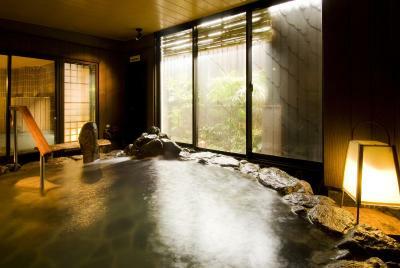 Guests can unwind in a spacious natural hot spring bath or relax with a massage. 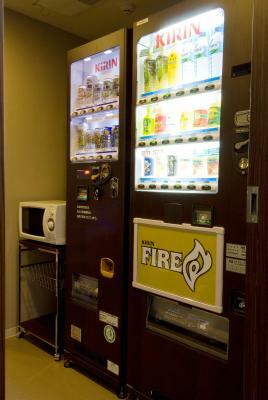 The Dormy Inn has a free launderette, a convenience shop and drink vending machines. 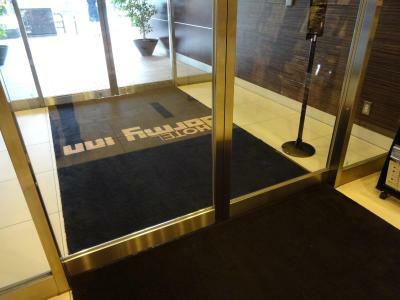 English speaking staff can be found at the front desk. 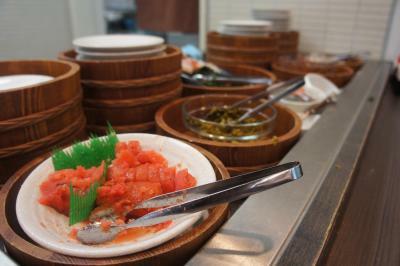 Restaurant Hatago offers a buffet breakfast with a wide range of Japanese dishes and some Western dishes. 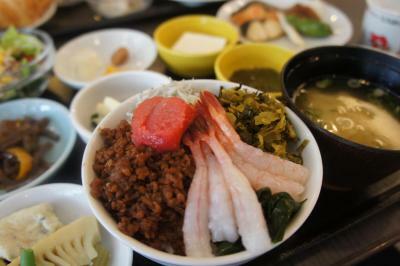 The restaurant serves free noodles at night. 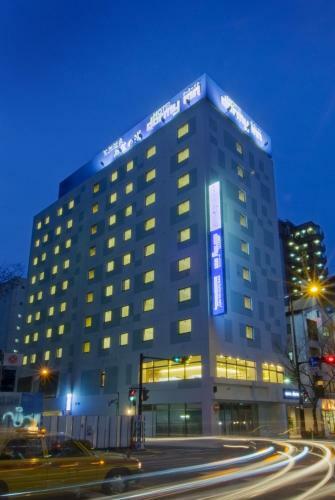 The Dormy Inn Hakata Gion is a 10-minute walk from Hakata Station and interesting spots, such as shopping district Canal City Hakata and the Hakataza theater. 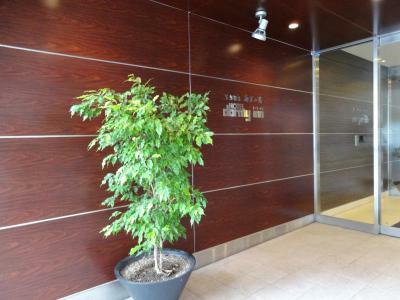 뀐 Located in the real heart of Fukuoka, this property has an excellent location score of 8.3! 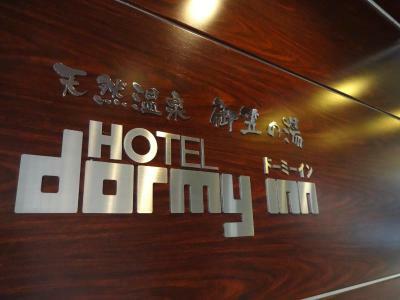 When would you like to stay at Dormy Inn Hakata Gion? 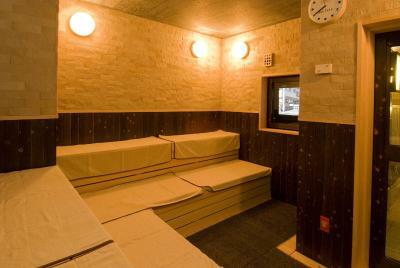 This air-conditioned double room is furnished with an LCD TV with satellite channels, a fridge and tea-making facilities. Nightwear and slippers are provided. 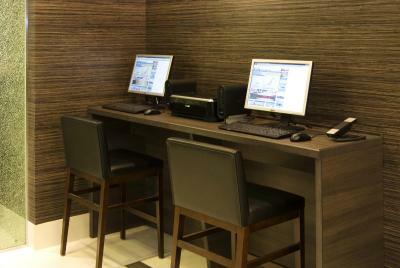 This air-conditioned twin room is furnished with an LCD TV with satellite channels, a fridge and tea-making facilities. Nightwear and slippers are provided. On an upper floor, this air-conditioned double room is furnished with an LCD TV with satellite channels, a fridge and tea-making facilities. Nightwear and slippers are provided. On an upper floor, this air-conditioned twin room is furnished with an LCD TV with satellite channels, a fridge and tea-making facilities. Nightwear and slippers are provided. 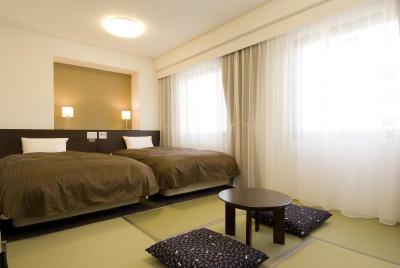 Featuring the comfort of extra long twin beds, this room includes a Japanese-style sitting area that sleeps 2 people in traditional futon beds on a tatami (woven mat) floor. 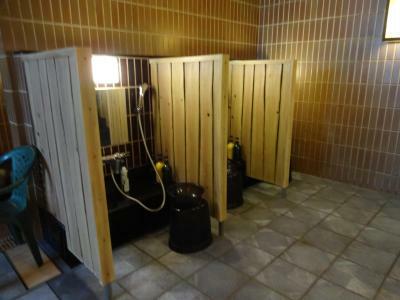 The room has an LCD TV, a mini-fridge and an attached shower. 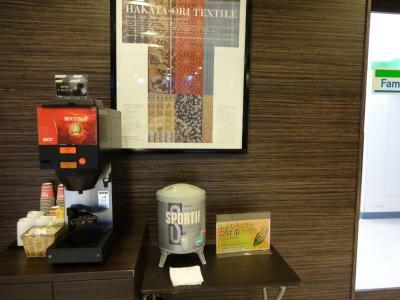 Free high-speed wired internet, green tea and nightwear are provided. 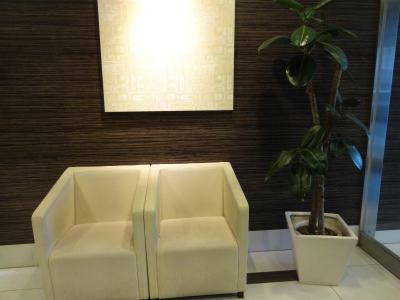 This air-conditioned room is furnished with an LCD TV with satellite channels, a fridge and tea-making facilities. Nightwear and slippers are provided. 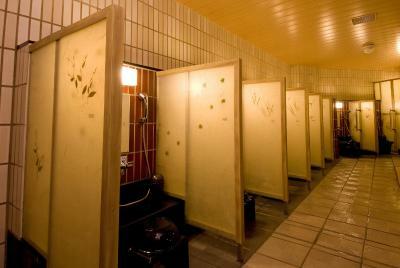 The bathroom is shared with other guests. This quadruple room has a flat-screen TV, air conditioning and electric kettle. 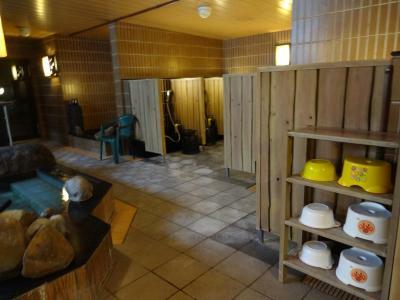 This quadruple room features a electric kettle, cable TV and air conditioning. 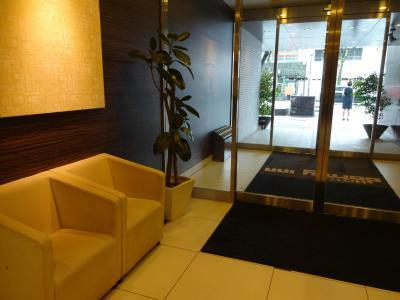 This quadruple room features air conditioning, electric kettle and flat-screen TV. 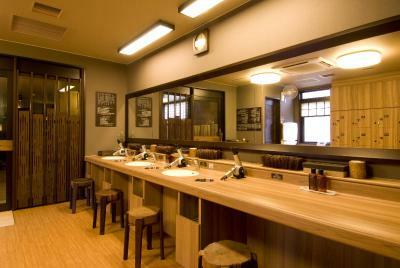 House Rules Dormy Inn Hakata Gion takes special requests – add in the next step! Dormy Inn Hakata Gion accepts these cards and reserves the right to temporarily hold an amount prior to arrival. Full payment is required upon arrival. All rooms are nonsmoking. 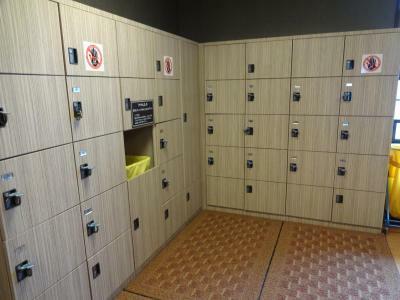 Smoking booths are available on most floors. Price went up a lot for sat night. Futon in room is old and has stains. The hotel is within walking distance to Hakata station and Canal City and the staff are all very helpful and polite. Not near JR station. It is a little proberm. We are change MTR every day. 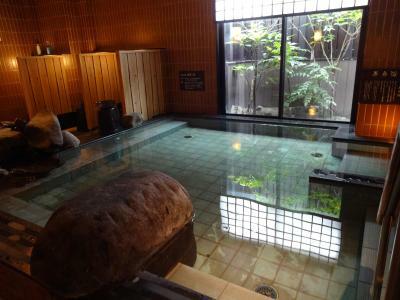 Like all Japanese hotels - the rooms could have been a shade bigger. 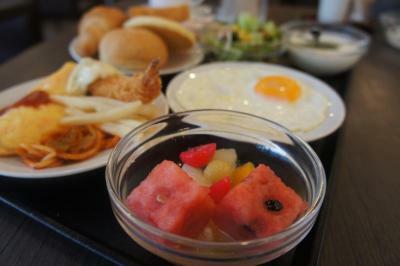 The onsen was a real delight, and the breakfast was good. Nothing I would fault as everything was to expectation or better. We opted to stay on the club floor, which had some exclusive amenities only available to those staying at the club floors. 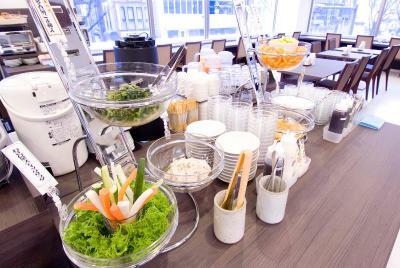 This included a free to use massage chairs, pod coffee machines and oj juice + tea machine. 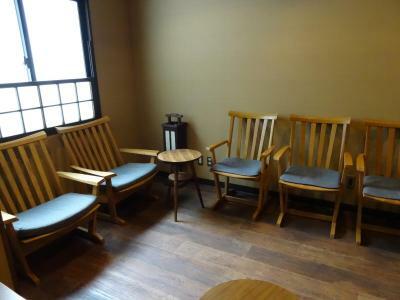 We really liked staying at the mixed tatami and bed room, which meant the 4 of us (all adults) can stay in one room. 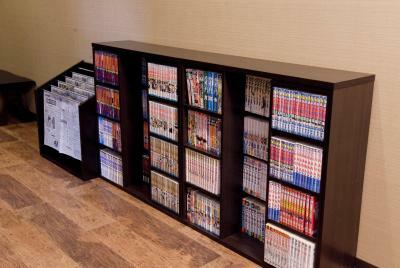 It was just the right size and it not feel uncomfortably cramped. 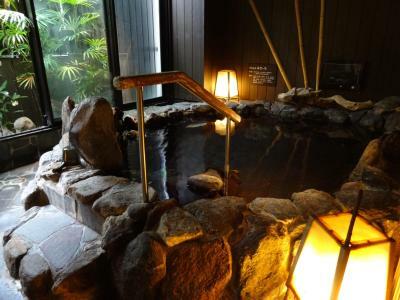 The onsen was great, the water temperature was decent and facilities clean. 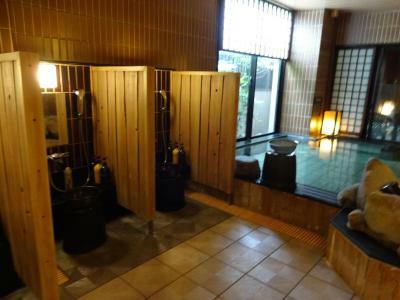 The suana was a great addition to the onsen. 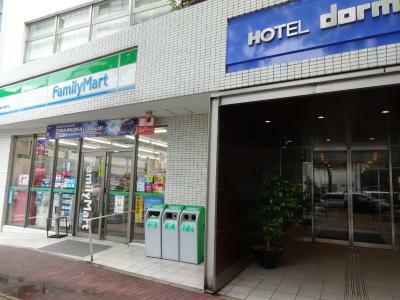 There is a convenience store next to the hotel that can be accessed inside the lobby via a convenient side door (meaning we didn't need ot step outdoors). Everything is good, nothing can be picked! 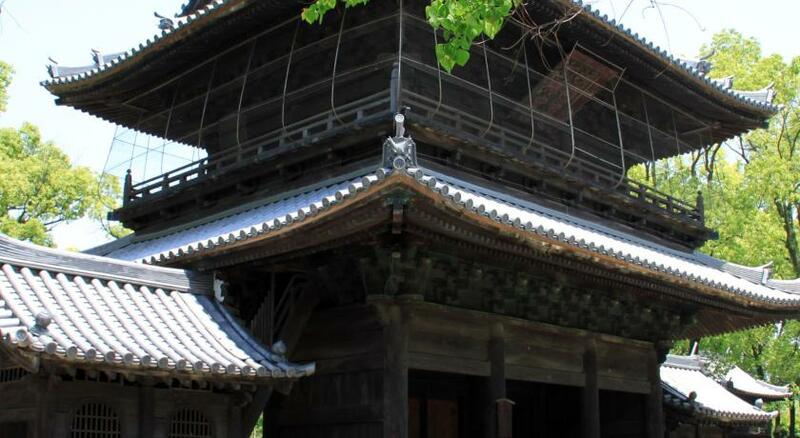 Walking distance between hakata station and gion station. Close to canal city, some shops and convenience store nearby. 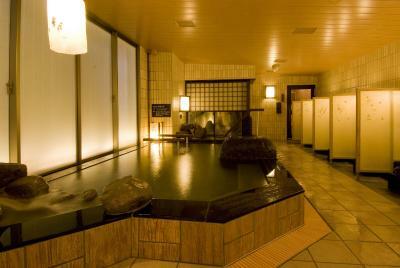 Hot spring is very nice, clean and amenities inside. 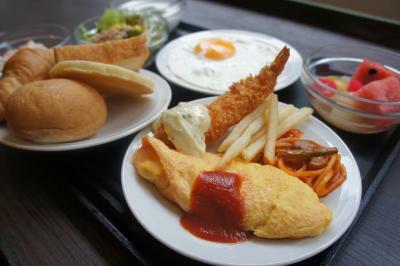 Bfast is good but will be better if more selection of food. Free supper raman for hotel guest, very thoughtful! Room is clean and spotless everyday! Housekeeping lady was doing a great job of cleaning. 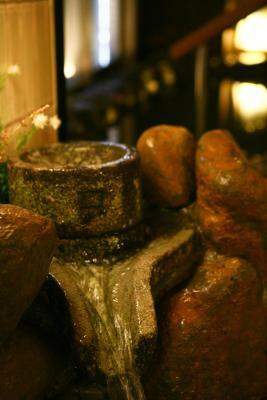 This hotel is always our first choice in Fukuoka. I believe that's not on purpose. However, I hope this is a constructive to their sanitary team. 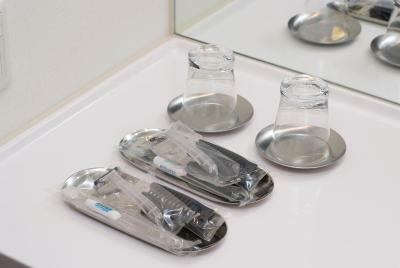 When we just checked into the room, I found there were several dried spots on toilet seat. 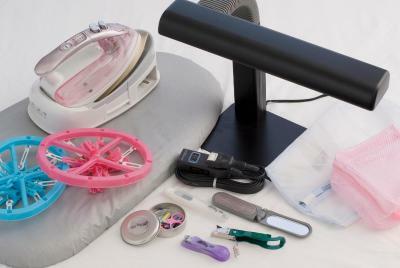 Could not wait for getting sanitary to come for cleaning, I personally did the cleaning. Hopefully, they would be more carefully to inspect cleaning process afterwards. 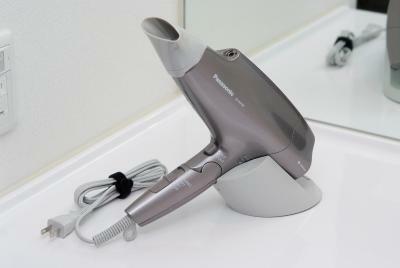 We had some problem adjusting the air con remote as the instructions were in japanese. An English version would be appreciated. 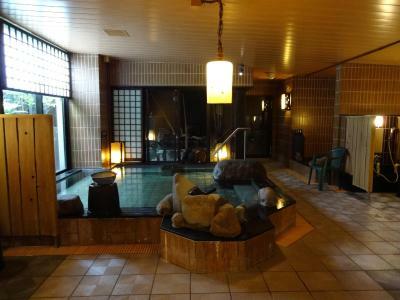 The onsen, free ramen and the free coffee and tea at level 8. We happened to be allocated a room at level 8.